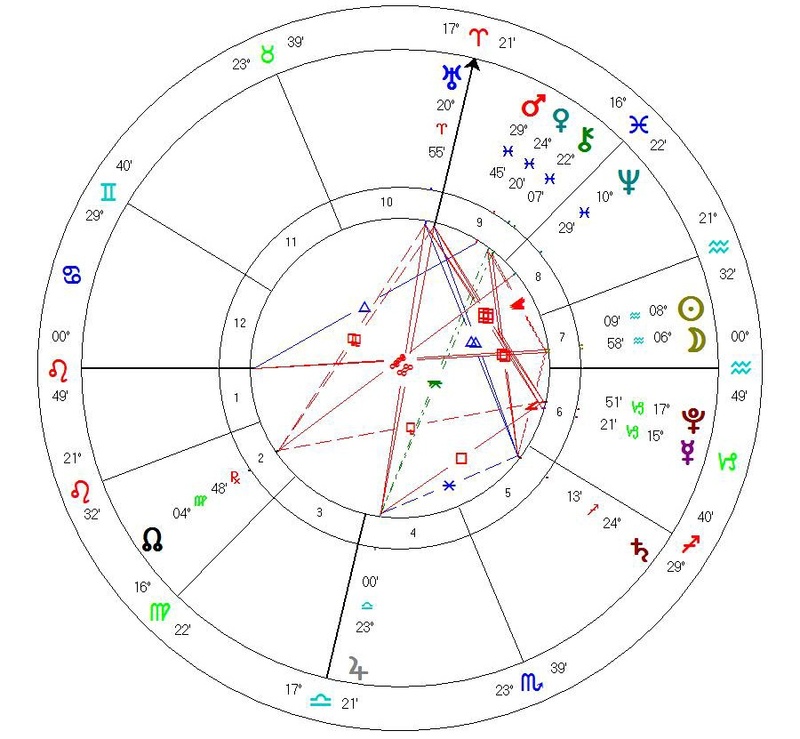 The chart has Mars in the last degree of Pisces – and was signed at the Pentagon, the headquarters of US defense – and therefore for DT, a symbolic location. Mars is the natural ruler of the military, and here it is in the last minutes of watery Pisces – and will shortly move into its home sign Aries. The move lifts Mars out of the water, which could represent inaction or indecisiveness and into the sphere of action, which is however, not necessarily clearly thought out. Aries is hot headed – and in Aries, Mars can be rash. The message is clear – Pisces is on the ninth house cusp- and has rulership of both religious concerns and relationships with foreign countries. The first degree of Leo on the ascendant – suggests strong, fixed, masculine energy – however the ascendant ruler, the Sun, is in detriment in Aquarius and in the house of open enemies, so in some respects, DT is playing into the hands of those who oppose him. I lift my lamp beside the golden door!” comes to mind. It might take a while for the meaning of this ban to sink – but clearly it contradicts some very basic US founding narratives. The planet with the most essential dignity in the chart is Venus, natural ruler by the way of Islam, which is also in the ninth house. While the chart is pregnant with possibility, with Uranus on the midheaven (DT is born under a close Sun/Uranus conjunction) we get the sense here of a leadership which will be very unpredictable. Around the time that the Sun actually conjuncts Uranus – Saturn natural ruler of borders, in Sagittarius natural ruler of travel – will turn retrograde. I think this is the start of a saga.. with the courts (Sagittarius) and legal challenges on the horizon. Liz Hathway, born in Clydach, South Wales. Studied at the Faculty of Astrological Studies in London, with classical astrologer John Frawley and has a Masters in Cultural Astrology and Astronomy, from the Univ. of Wales, Lampeter.